When you have seen the moon, Jupiter and Saturn through the lens of a telescope, it is time to take the next step. 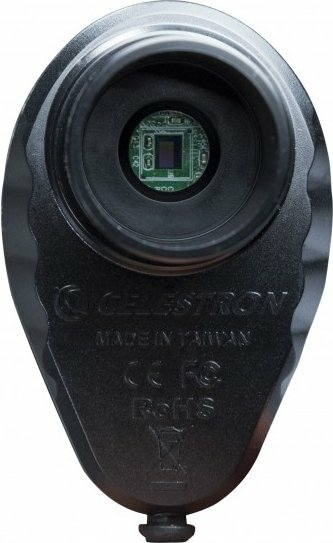 This Celestron CMOS camera is the perfect help to capture all of these images and convert them to you own computer. 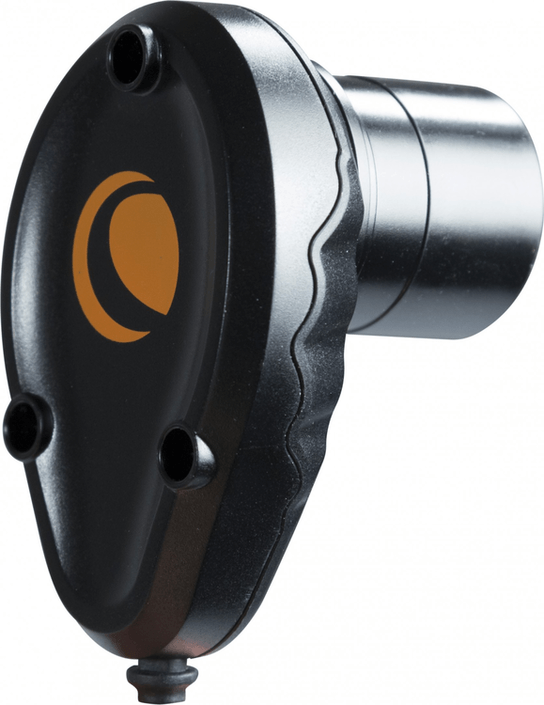 The 1.25 inch eye piece can easily be replaced by the imager, so the sensor can capture high resolution images and transmit them digitally. The Celestron NexImage Solar System Imager has enough capacity to take detailed videos of the moon, Saturn and Jupiter. The user-friendly software programs iCap and RegiStax come standard with this product. The CMOS camera can easily be connected to your telescope by removing the eye piece and replacing it with the sensor. Taking a video of the moon or a planet is just a simple mouse click away. By using the included software fuzzy images are automaticly removed and the remaining images are aligned, resulting in a clear, sharp and detailed video (only for Windows). This means a maximum quality of colours and details can be acquired. The Celestron NexImage Solar System Imager is a very user-friendly tool for capturing you first astro images, even when you live in a light-polluted area. Write a review By sharing your experience with the Celestron NexImage Solar System Imager, you can help others (perhaps still doubting customers) with making a good choice.